Everything in our approach to the creation of buildings is geared toward designing architecture that is open, welcoming, accessible and integrated into the community. 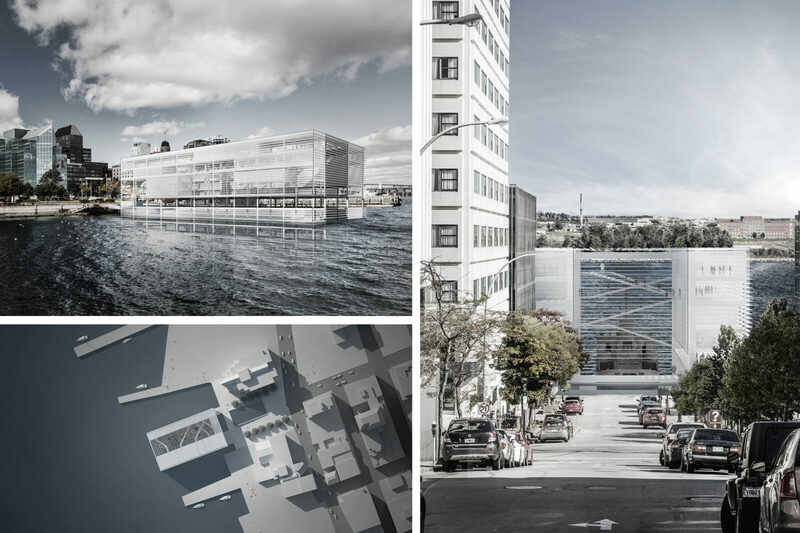 A few years ago, FBM's team responded to a proposal for a Canadian Naval Heritage Centre. While our bid was not successful, we were proud of the vision we put forward for consideration. Our approach was to identify the core meaning of Halifax: what are its stories, why they matter, and how can this building be a powerful physical presence and overarching visitor experience. HMCS Sackville is a unique attraction and a significant historical artifact. Together the ship and building would form a powerful symbol of national achievement; extraordinary Canadian accomplishments by ordinary men and women. To complement its symbolic function and ensure that its message is woven into the fabric of Halifax and of Canada, the CNHC would also be a dynamic hub of information, research and events; building bridges between past, present, and future. The CNHC would link land and sea, just as it would link past and present. It will honour the place where water meets land in tribute to those who passed through that place to sail seas rife with danger. As the permanent home of HMCS Sackville, symbol of the achievement of the Navy and Canada, the CNHC would capture and amplify the echoes of place, history and memory, to make its mark on Halifax’s and the national consciousness.